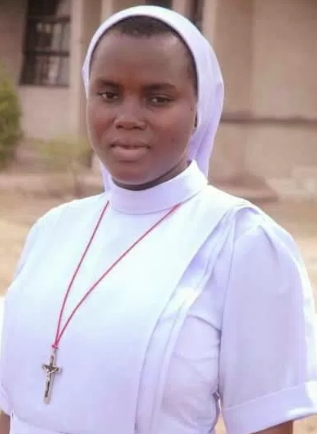 Sister Blessing Olowojoba, a devout Nun who was recently kidnapped by her former boyfriend in Okene is yet to regain freedom. The nun who was kidnapped from a branch of Eucharistic Heart of Jesus in Okenne has reportedly spent 4 days in the den of her kidnappers with no intervention. 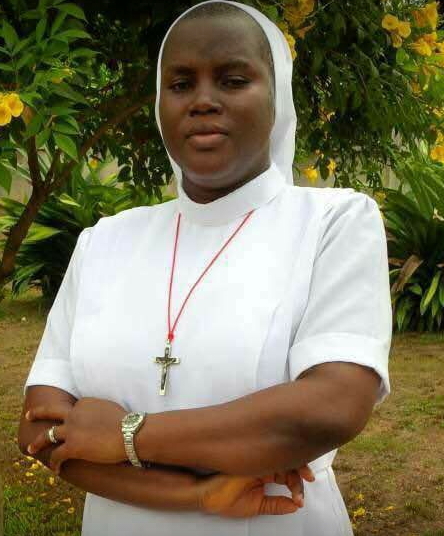 All her fellow nuns are doing now is to pray for divine intervention and for God to touch the heart of her kidnappers. According to a social media user, Olowojoba a former protestant became a Nun shortly after breaking up with her boyfriend who was an undergraduate at Kogi State University. Sister Blessing who hails from Igarra in Ondo state was kidnapped in Okenne last week Friday the 7th of July. WHEN U UNDERSTAND CATHOLICISM ,U WILL UNDERSTAND ..MEANWHILE LET THE SO CALLED KIDNAPPERS RELEASE THE YOUNG WOMAN.KOGI IS THE DEN OF KIDNAPPERS AND HAVENT BEEN LUCKY WITH GOOD GOVERNOR OR NASS MEMBERS. Is it by force? 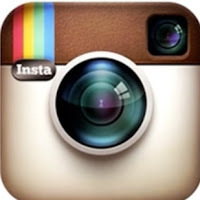 She sd she is no longer interested while will d former boyfriend ve resolute on this?. Pls d kidnappers should fear God nd release her. d ring in their(nuns)hands is a symbol of their commitment to God& calling,so if u don’t know the meaning of symbols.try 2ask questions rather than talking against the Catholics! As a church we pray for her safe return. @ Jayeoba pls. Forget about the ring is not what you think, the Church always wear them during their final profession. Pls o! The kidnappers days are numbered. They should know that “the fear of the Lord is the beginning of wisdom”.God can not be held to ransom,so they should do the needful by releasing the innocent nun. @jayeoba don’t be a judge on what you don’t know,the ring in the sisters hand is her profession ring or finger rosary.